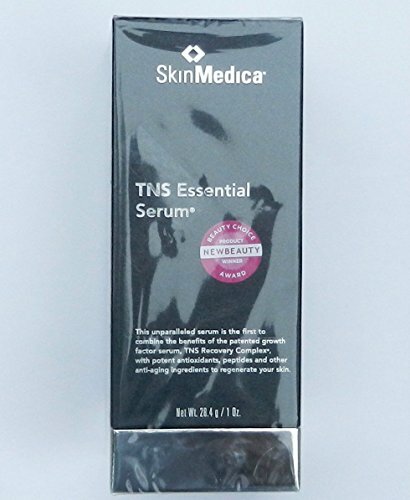 SkinMedica TNS Essential Serum is a supreme anti-aging serum. It's the first of its kind to blend patented growth factor serum, TNS Recovery Complex, powerful antioxidants, peptides and additional ground-breaking anti-aging agents to revitalize your skin. Features & Benefits: The only anti-aging product you'll need. Decreases the appearance of fine lines and wrinkles. Improves the overall tone and texture of skin. Contains full-strength TNS Recovery Complex that works synergistically with peptides to build the extracellular matrix. Has seven antioxidants that are the ultimate at fighting free radical damage. Special ingredients instantly plump the skin. Alpha arbutin brightens and lightens the skin.